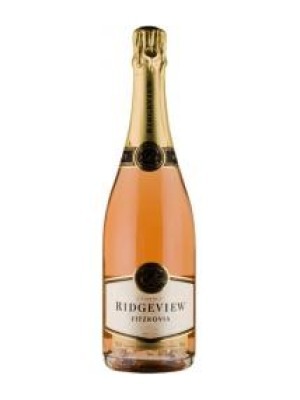 Ridgeview Estate Fitzrovia Cuvee Rose is a popular Sparkling Wine available from TheDrinkShop in 75cl to buy online. Visit TheDrinkShop for the best price for 75cl of Ridgeview Estate Fitzrovia Cuvee Rose or compare prices on our other Sparkling Wine products. A bright salmon colored Chardonnay that offers freshness and finesse, whilst the Pinot grape adds the taste of summer fruits. The bubbles are small and round creating a lovely mousse adding dept and character to the wine. The perfect start to a drinks party. Where to buy Ridgeview Estate Fitzrovia Cuvee Rose ? Ridgeview Estate Fitzrovia Cuvee Rose Supermarkets & Stockists. You can buy Ridgeview Estate Fitzrovia Cuvee Rose online in most retailers and find it in the Sparkling Wine aisle in supermarkets but we found the best deals online for Ridgeview Estate Fitzrovia Cuvee Rose in TheDrinkShop, Waitrose Cellar, and others. Compare the current price of Ridgeview Estate Fitzrovia Cuvee Rose in 75cl size in the table of offers below. Simply click on the button to order Ridgeview Estate Fitzrovia Cuvee Rose online now.